Concussion is a serious injury and occurs frequently. According to ACC statistics, there are about 35,000 head injuries in New Zealand each year. Despite the fact that we seem to hear about concussion happening mostly on the sports field, actually only 21 percent of all head injuries in this country are sustained through sport-related injury. Today there is an increased awareness and understanding of what a concussion is and that the impact of the injury may be either immediate or delayed. People who have suffered a head knock can potentially suffer anxiety, depression and make poor decisions either immediately or years on from the initial trauma. The good news though, according to Gill Redden, a specialist concussion practitioner, is that concussion, even an old concussion, is treatable. “Any amount of force will impact the head,” Gill explains. “This causes the head bones to jam up and the membranes surrounding and protecting the brain to twist and tighten to try to accommodate these jammed bones. What I do is physically unjam or free up the head bones through quiet, gentle manipulation. 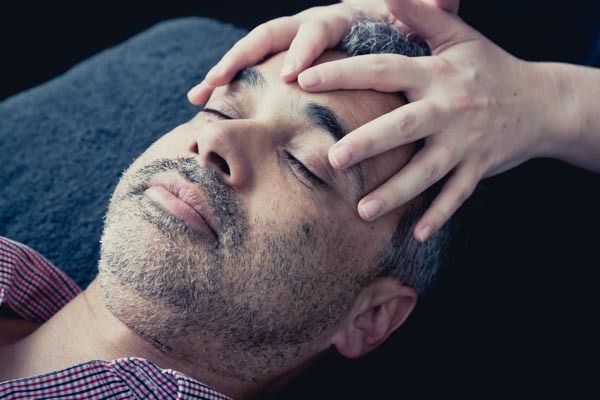 “This is a non-invasive, drug-free treatment called CranioSacral therapy, a technique which came into its own in the 1970s and which is extremely effective.” Gill takes a full body treatment approach when treating a concussion, helping to align the body, the neck and various organs to release compression and to allow uninterrupted flow. If you think you may be suffering from a concussion and would like to find out more about how Gill treats people, phone 03 365 7801.